Winstep Forums :: View topic - Winstep releases Winstep Xtreme 9.10 Public Beta 1! Post subject: Winstep releases Winstep Xtreme 9.10 Public Beta 1! This beta release, among many other things, introduces the new UI (User Interface) to WorkShelf and fixes important compatibility issues with Skype 4.x (32 and 64 bit versions of Windows), Logitech's SetPoint (under 64 bit systems) and the 64 bit versions of Windows. IMPORTANT: This beta package is an update and MUST be installed ON TOP of a previous Winstep Xtreme 9.5 or later installation! 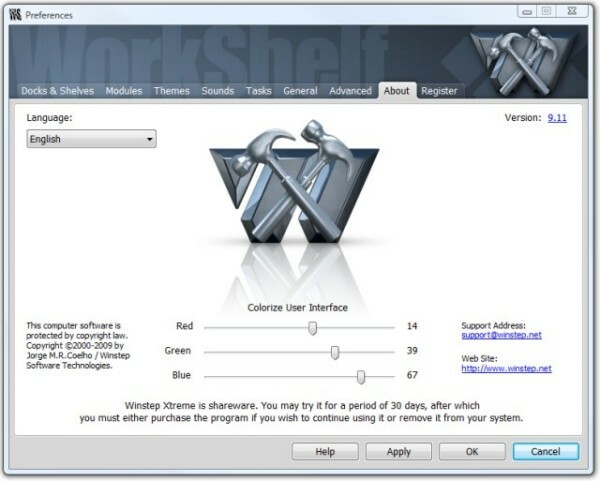 WorkShelf features incomplete language files based on the Nexus language files. If you would like to help translating the missing entries (about 250 entries of text specific to WorkShelf need to be translated) please say so here or contact Winstep support.